Earth Day is coming up soon and one important message to share with students is that their actions and choices today help shape the future. One way to help students start thinking about their choices is to get them doing something that will lead to a change or make an impact. 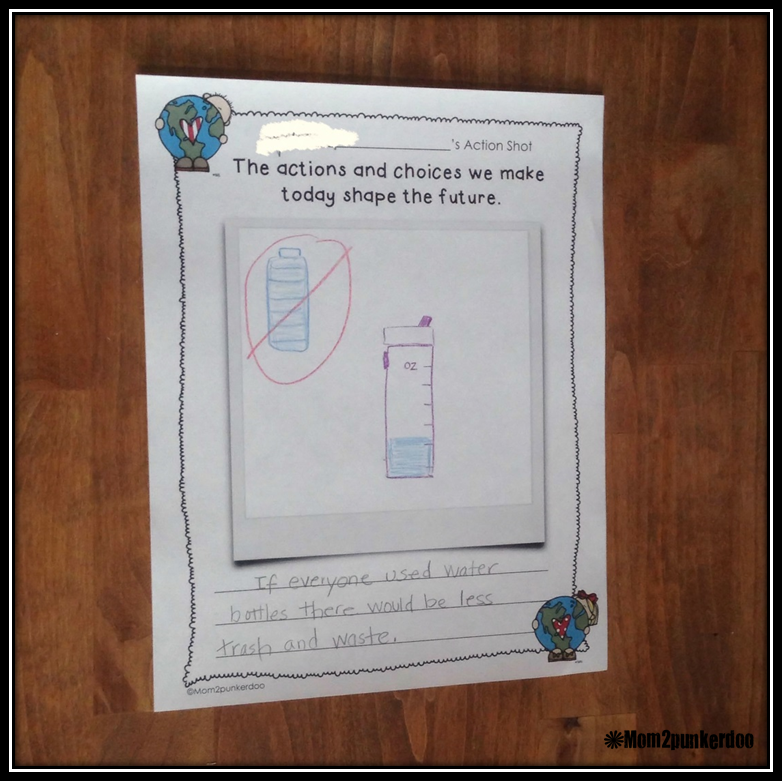 Having students choose and action that they can do, repeat, observe and reflect upon is one way to get them thinking more about how they can help shape the future. 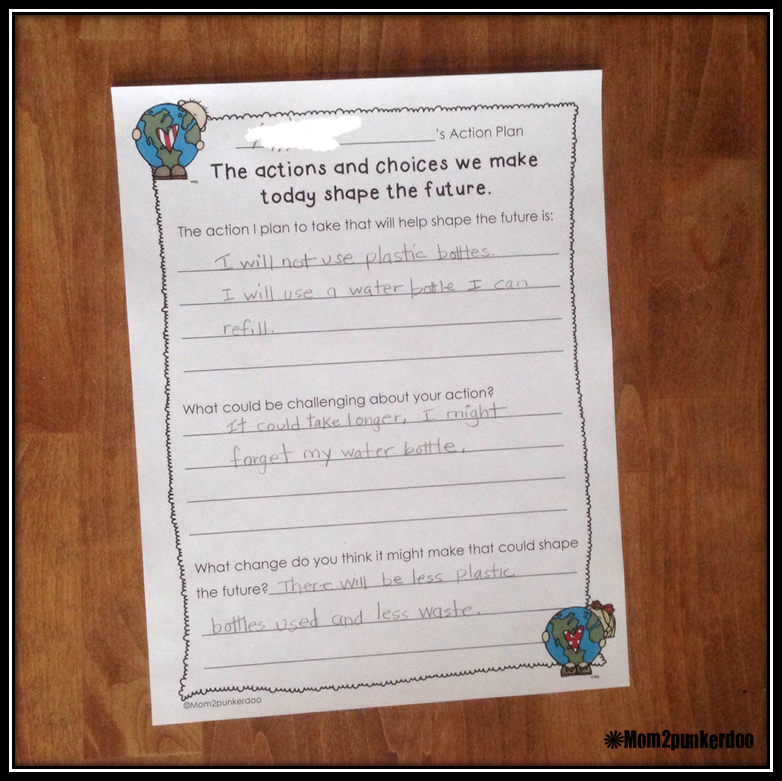 This action plan activity is designed to help your students do just that! Students choose an action they can do themselves for a week that they think will help impact the future. 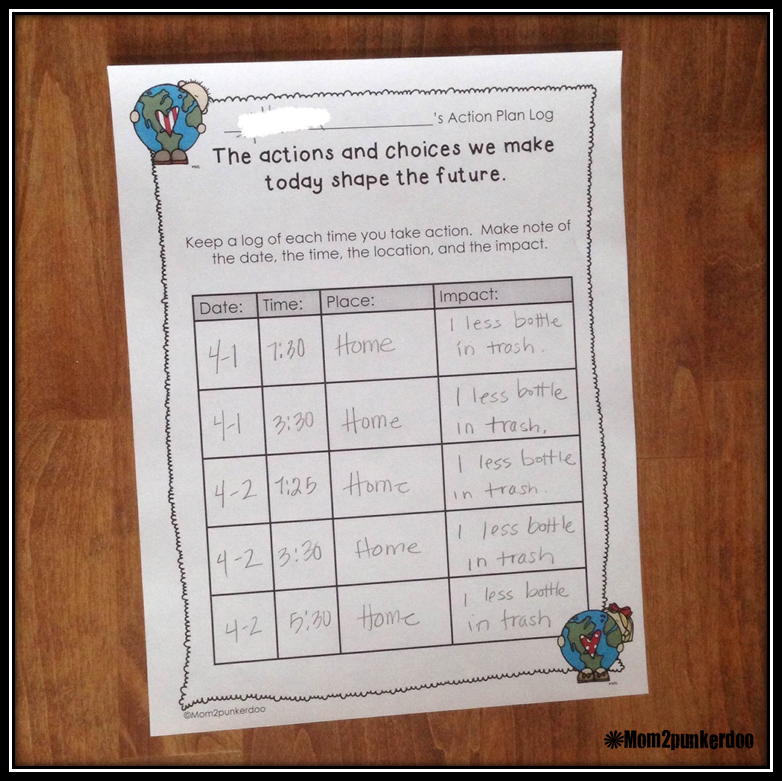 Students keep a log of each time they take action. They document with pictures or drawings. If your are interested I've got several additional resources to compliment your Earth Day discussions. If you are not familiar with the book What If Everybody Did That? check out this blog post. This simple book really helps drive home the point that actions have consequences and it's great for teaching cause and effect too! If you are looking for some fun and creative ideas to help celebrate Earth Day or to just reinforce the importance of taking care of our planet be sure to check out my Pinterest board. Follow Mom2punkerdoo's board Earth Day: Sharing the Planet on Pinterest.